GSA is a great place to start, build, and expand your career. 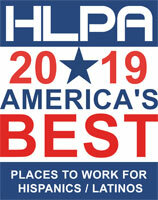 Our employees consistently rate us as one of the top ten Government agencies in factors such as employee satisfaction. Be part of something greater. People with serious mental or chronic illness - and those who care for them - have moving stories. What many want most is to be known as a person, not a patient.